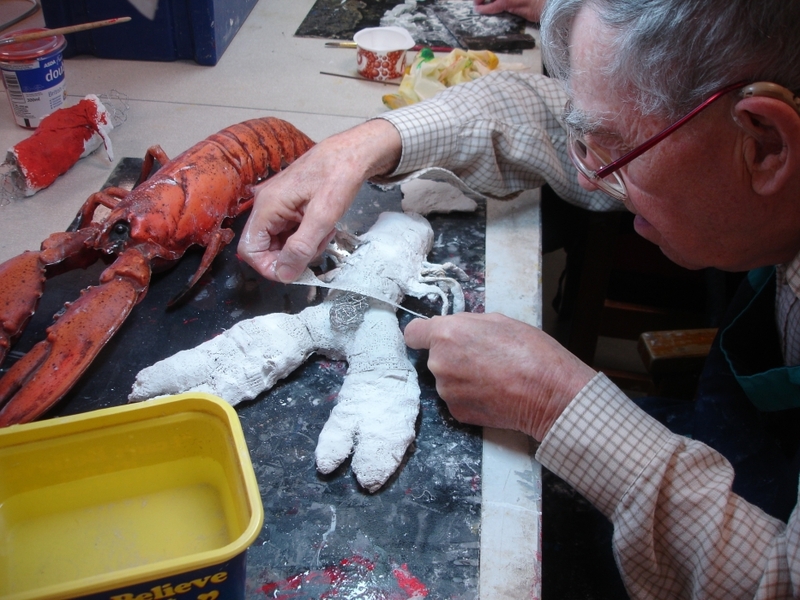 Making a Lobster for an Installation about the local area (the South Coast). I have understanding of different eye conditions that may affect clients, I am also familiar with other additional health issues such as hearing impairment, arthritis and dementia. I have a current DBS check for vulnerable adults. 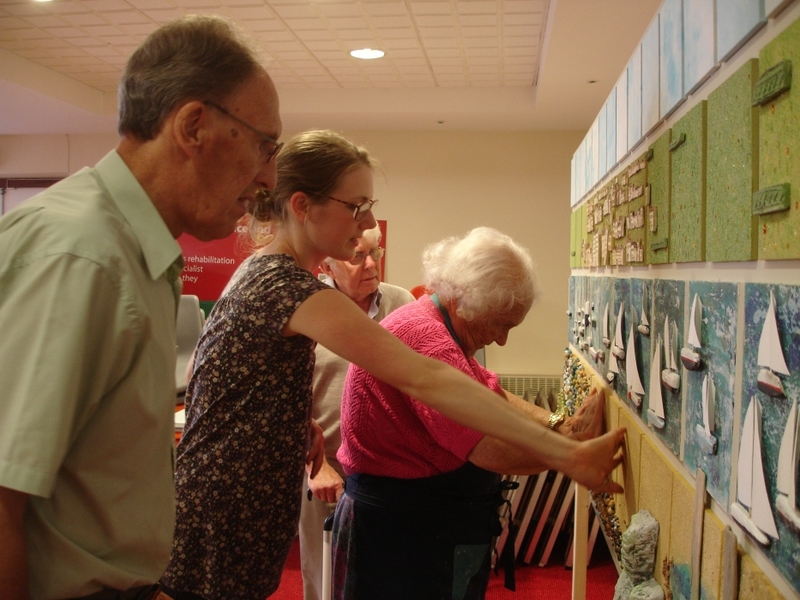 Touching and discussing a seaside themed installation created in our craft workshop.